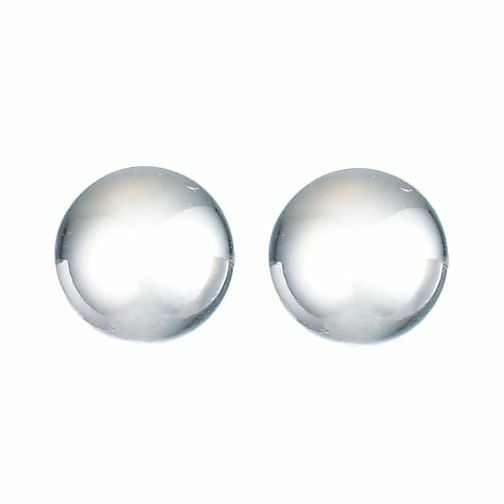 9ct White Gold Ball Stud Earrings 5mm is rated 4.0 out of 5 by 4. Rated 2 out of 5 by Anonymous from Poor quality Earrings nice enough but butterfly backs very flimsy and wouldn't stay on. Rated 5 out of 5 by Anonymous from What You See Is What You Get Exactly as described. Quality earrings, affordable price. They look lovely when they're being worn and if they look good I look good. And if I look good I feel good. I wouldn't hesitate in recommending these earrings from H Samuel.